This year while having my physical, my doctor was really pushing me about not having a mammogram done. You see I am 43, and I should have started having them 3 years ago. Also because my mom is a breast cancer survivor, he was really concerned that I wasn’t more worried about having a mammogram. I just thought well you know it's there, and I always self-examine so I never felt the need for concern or anything. This time I decided to take his advice and get one done. I was so nervous and apprehensive about the whole thing. I am not one to go and do this sort of thing comfortably. I made the appointment and went. I wore a strapless sun dress so I didn’t have to completely undress,(I hate that!) and I was taken to a private room to put on a hospital gown but on backward. They call me in and I walk slowly into a dimly lit room with all these strange machines and gadgets. A nice lady asks me to step up to one of the machines. As I did she explained to me what we were doing and why and positioned me correctly so there were no mistakes. This was like nothing I had imagined. I thought this would be awful and my breasts would be smashed and it would hurt. None of this was true, it didn’t hurt at all. The most uncomfortable part was pushing my face against the machine to get a good angle. It took less than 10 minutes and was pain-free. I was so relieved when it was over. Then I was told to wait for a letter in the mail or a phone call. I got the letter and everything was fine. So happy! Now I am good until next year. 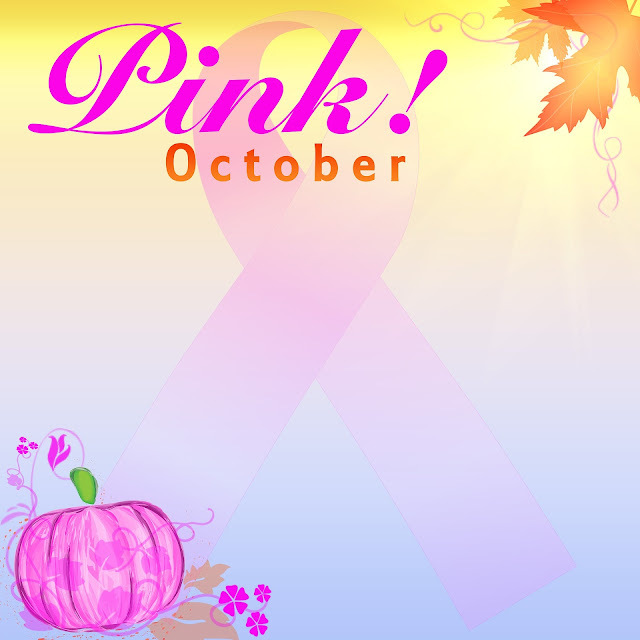 Breast Cancer affects many of our lives personally. According to the American Cancer Society, “the five-year survival rate for breast cancer is 98 percent when it is detected early. Cervical cancer is also treatable if detected early.” So our best bet ladies is to get in and be seen if you have any doubts and to get to those yearly mammograms. The Illinois Department of Health has a very resourceful website. That is where I found out about the Illinois Breast and Cervical Cancer Program (IBCCP). This is a program provided for women ages 35-64 who have no insurance. They offer free mammograms, breast exams, pelvic exams, and pap smears. Even if you have been diagnosed with cancer prior to becoming involved with the IBCCP, free treatment is available to those who qualify. If cancer is diagnosed during your course of exams and so forth, through the IBCCP: then free treatment will be provided. Another little tidbit I picked up on this site was a really nice idea. It is called Pink Pot Lucks. This is a great way to get women of all ages together and talk about why it is important to screen early, check your breasts regularly, and that early detection is the best chance we all have for survival. So you organize the event,and the IBCCP provides breast/cervical cancer materials. Register on their website dph.Illinois.gov, and allow 7 to ten business days for delivery. They do advise to register a few weeks ahead of your Pink Pot Luck, that way the materials are there in plenty of time for the event. Sounds like a nice way to talk about such a serious topic. Here in Metamora, the high school the football team had a Pink Out night Friday, October 7th. Pink t-shirts were sold and a portion of the money was donated to a local charity for breast cancer. Students, parents, and teachers wore the shirts at the game. Nice work team! Thank you for your help and support this month. Every little bit helps. Talking to your friends, family, and coworkers is a good start to keep the word going about how important this is for all of us. So have that Pink Pot Luck or run/walk in the Race for the Cure. Do whatever makes you happy and feel good. This horrible disease affects our lives one way or the other, but maybe together we can find a cure.